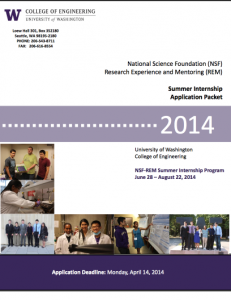 NSF Research Experience and Mentoring Program is an eight-week residential program for incoming University of Washington (UW) freshmen from underrepresented and underserved populations. Students spend 40 hours per week working on a research under the guidance of faculty and graduate students. In addition to conducting research, students strengthen their mathematics and problem solving skills in a math class, develop a community of peers and advisors at the UW, and have a lot of fun living on the UW campus for the summer. The overarching research area is “Towards zero-energy buildings based on energy-harvesting electrochromic window and thermoelectric systems.” To learn more about this area of research, see the UW Today article Dimmable windows with solar panels could power zero-energy buildings. The NSF-REM is a great way to spend your summer! 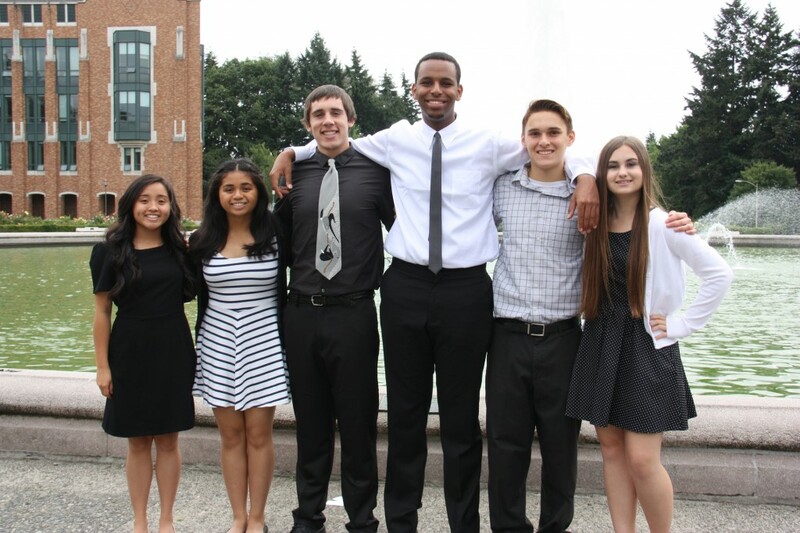 Pending funding, we will hire 6 incoming University of Washington freshman for the summer program. Women, students with disabilities, students from underrepresented minority, and low-income backgrounds are particularly encouraged to apply, however we will consider students from all backgrounds. Students should be 18 years of age or turning 18 by the time the program starts. The program lasts 8 weeks, from mid-June to mid-August. Students will work full-time (40 hours/week) in their research lab, take math courses, and participate in social activities. Students will receive free room and board, and will live on the University of Washington campus. Interns will receive a monetary stipend in addition to their room and board. Students will also receive funding to attend the National Science Foundation’s Emerging Frontiers in Research and Innovation (EFRI) annual conference in Washington, DC, where they will present their research. The 2014 NSF-REM took place June 28 – August 22, 2014. 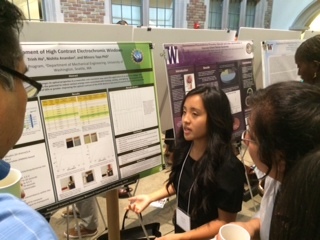 2014 participants presented their research at the STEM Summer Research Symposium at the UW. NSF-REM student Trinh Ha and her work on electrochromatic windows were featured in a UW Today feature about the event. 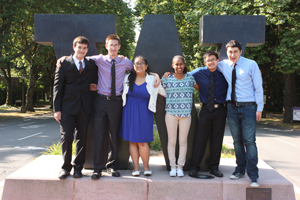 2014 participants Madisen Arurang, Rachel Crow, Isaac Garcia, Trinh Ha, Matthew Lee, and Yoel Tekle pose together in front of Drumheller Fountain on the UW campus. 2013 participants Kebron Fikadu, Rodriguez Pham, Gizelle Gando, Michael Edwin Hisashi Taylor, Aristeo Miramontes, and Jakob Ward. 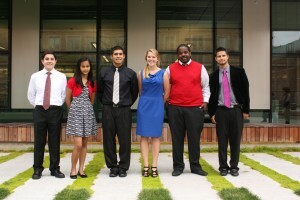 2012 participants Kasey Acob, Bailey Bonaci, David Coven, Daniel Corona, Mikael Perla, and Verlanie Rodillas.